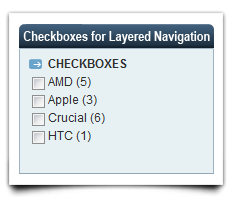 Multiple Select functionality with or without Checkboxes for Magento Layered Navigation. 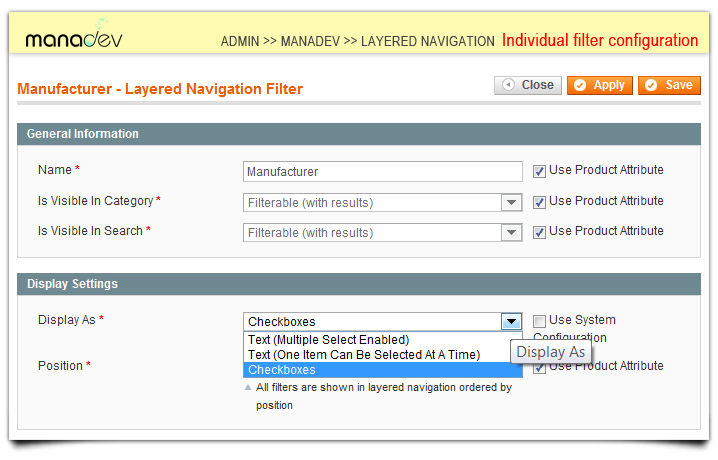 Extension adds multiple select functionality with or without Checkboxes to standard Magento Layered Navigation. 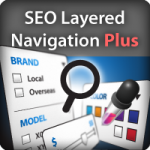 You can easily combine this extension with other our Layered Navigation extensions such as SEO, Ajax, Price Slider, Show Less / Sow More and many more (existing, new and counting). 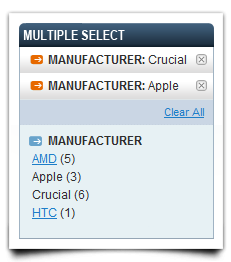 BEST VALUE OFFER. 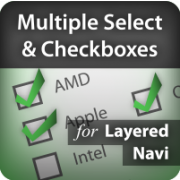 There is also full package of all Layered Navigation extensions which not only saves you money and gives you all current our Layered Navigation extensions but also allows you to use future Layered Navigation extensions for free.